Art and Spirituality – Institut M.A.R.I.E. “This was around 1950, and (one) man invited me to Buenos Aires, where I was involved with a group of mystics, many of whom were seventy or eighty years old when I met them. . . . None of them was South American. They were Europeans or from the Middle East” (Extract from “Interviews with Oscar Ichazo, a 1982 Arica Institute publication”). According to Claudio Naranjo, Ichazo said specifically that he was handed the whole Tradition that is spread in many branches around the world in various cultures. He was given “the whole works” and the mission of translating it into Western terms. One of the only names Ichazo has ever mentioned publicly as a teacher and source for him, is Leo Costet de Mascheville, a French spiritual teacher. Who was this man, and how could he be implicated in the genesis of the enneagram? We begin the story with his Father, Albert Raymond Costet-Conde de Mascheville (1872 -1943) born in Valence, France. In 1895 at the age of 23 he became a Delegate of the Supreme Council of the Martinist Order founded by Papus (his real name: Dr. Gerard Encausse, a French medical doctor who founded the Martinist Order-L’ordre Martiniste- in 1887). 1901: birth of his son, Leo Costet de Mascheville (1901-1970) in France. In 1910 he and his family left France and moved to Argentina arriving on February 26, 1910 in Buenos Aires. In 1920 Albert Costet initiated his son Leo into the Martinist Order. Albert Costet sends his son Leo to France on a special mission to re-connect with the Traditional Esoteric Orders of Martinism and the Kabalístic Rosy-Cross. On March 22, 1927 Albert Costet is made Delegate of the Supreme Council of the Martinist Order of Papus, and starts the Order Kabalistica of the Rosy-Cross in the city of Curitiba, (Brazil). 1932: Leo Costet is transferred (probably on advice of his father) to Montevideo (Uruguay) and founds the esoteric study group GIDEE (Groupe d’études ésotériques) based on the Martinist Order of Papus.. In 1936 Albert Costet moves to Sao Paulo, and appoints his son as President of the Martinist-Order. On December 23, 1939, the Constitution of the Martinist Order of South America is proclaimed in Porte Alegre, Brazil uniting all Martinists of Brazil, Argentina, and Uruguay. 1941: Leo Costet de Mascheville becomes “Sri Sevananda swami” and his Indian guru Subrahmanyananda makes him his the successor in the lineage of Suddha Dharma. 1953: he went to Resende, Rio de Janeiro (Brazil), where he acquired a very large area to establish an Ashram that became famous in Brazil and all over the world. Everything is in concordance indicating that it was this group of mystics in Buenos Aires in which Ichazo was included, this group created by Albert and then led by Leo Costet de Mascheville \. Given that the Maschevilles were the representatives of the Martinist Order in South America, it’s interesting to trace back the sources of this teachings to its beginning with Papus. Papus (1865-1916) founded the Martinist Order in 1887. He was deeply immersed with the European occultist spring and publicly claimed to be the depository of the teaching of the “initiate” Louis-Claude de Saint Martin (1743-1803) who in turn gave credit for his teachings to Martinès de Pasqually (1727-1774). The name “Martinist” came from the name of “Saint Martin” but de Pasqually was the real inspirer of the Martinist Order. It’s important to know that Kabbalah as taught by the Martinist Order as well as different European esoteric and occultist movements is not the Jewish Kabbalah but a more syncretic form usually called Christian Kabbalah. In 1174, the publication of a strange and enigmatic text in Southern France known as the Bahir was by most commentators, ancient and modern, regarded as the true beginning of Kabbalah. Attempts to establish its authorship or provenance have been largely unsuccessful. The main focus for Kabbalah then moved to Northern Spain, where its salient conceptions attained a stable form, culminating in the publication of the most important and influential of Kabbalistic texts, the Zohar. Moses de León (c. 1250 – 1305) the Spanish rabbi and Kabbalist is thought to have been its author or redactor. The Zohar is a group of books including commentary on the mystical aspects of the Torah (the five books of Moses) and scriptural interpretations as well as material on mysticism, mythical cosmogony and mystical psychology. September 8, feast of the Nativity of the Virgin Mary inspires us to talk about the astrological sign of Virgo and Bacchus his astrological regent and see their links with the Enneagram. 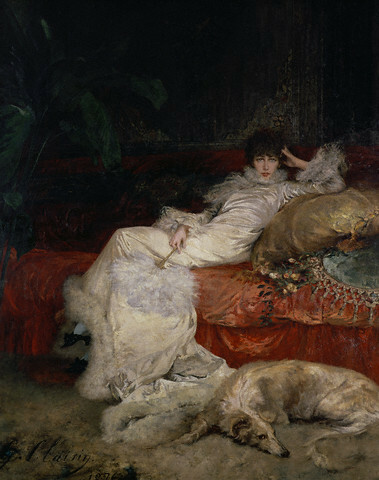 For us, Sarah Bernhardt’s type couldn’t be in any cases of a type 4, in which it would have been very tempting to class in for this great artist, whose nickname was “the golden voice”, but in the type 7 of enneagram.